Should we be scared of… Amulet Titan? If you’re a regular watcher of pro magic like me you will have definitely seen SCG Modern Open Charlotte, and that Amulet Titan (Bloomless Titan) was in a mirror in the finals. With Dredge on the rise and hitting more top 8s then it has done in a while, these type of combo decks that dredge can’t deal with will start getting past. There are two main differences between the two Amulet Titan lists. Will Pulliam seems to be more of a traditional list in the meta with the new inclusion Adventurous Impulse, which helps find land or Titan. Austin Robbins has 3 Serum Visions, 2 Pact of Negation and then 2 Hive Mind which is super spicy in the mainboard, so when you Summoners Pact the Opp must copy and then pay upkeep cost… making them lose the game. Another odd deck that we saw hit into the top 8 (at 4th) is Valakut (Scapeshift) which is another deck that is very similar and if it’s left alone will just win the game really fast and leave your opponent particularly annoyed. UW control appeared as well and just missed the cut into the finals but this is another deck which can struggle vs Amulet Titan as their sideboard could be focused on Dredge. Does this mean no more control for a while? 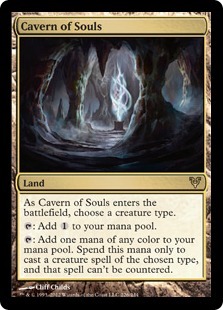 Also, Titan does play Cavern of Souls so sometimes when you have the counter but not the path the deck can just beat you on turn 2. 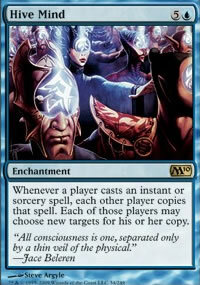 There is also one Pact of Negation in the main deck which can come in the clutch to win the game. The other four decks are Bant Spirits, Jund, UR Aggro(Wizards), and Storm, which leads me to believe that the format is really well mixed and there are a lot of decks which can make the top8. Looking at these decks and wondering where the Humans? Tron? or KCI combo is, which everyone loves playing against… I know Dredge is not here but that is a lot due to people are starting to main board relics and have even more hate in the sideboard. The meta is shifting and moving around a lot after just one Uncommon card is having a huge impact on the game. Though as we seen Amulet Titan appear, will this mean Ad Nauseam combo will also come up and win out of nowhere? Or will there be other off-meta decks that will come up more?